BE STILL… | Reflection of Glory! 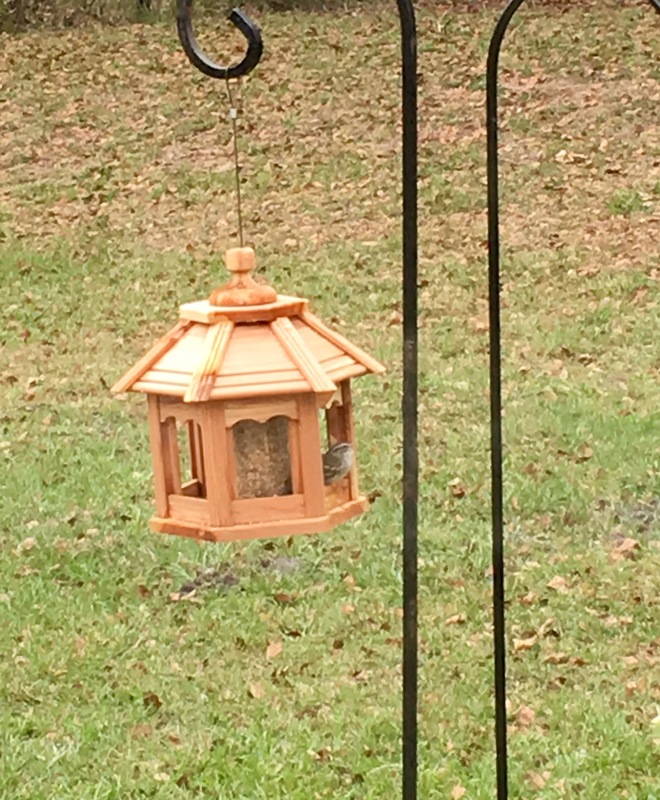 I have noticed that this little bird has been camped out for 2 days in my bird feeder instead of flying off with it’s friends. It wanted to stay where the food was. As I watched it’s behavior, I realized an important spiritual lesson was unfolding before me. Sometimes we need to “camp out” when we are being fed spiritually by the Lord. How often do we read our daily Bible reading and then rush off to do other things with our friends? Do we allow the Lord time to speak to us through His word? Sometimes we need to commit to pray until we hear from the Lord. Do we go through our prayer list and then stop…or do we wait…seeking to connect with the Great Intercessor? Do we have a time set aside so we may simply sit (camp out) in the Lord’s presence…to pour ourselves into Him and let Him pour Himself into us?